First responders who have assisted with the Lilac Fire are getting a big “thank you” in the form of free food and beer. 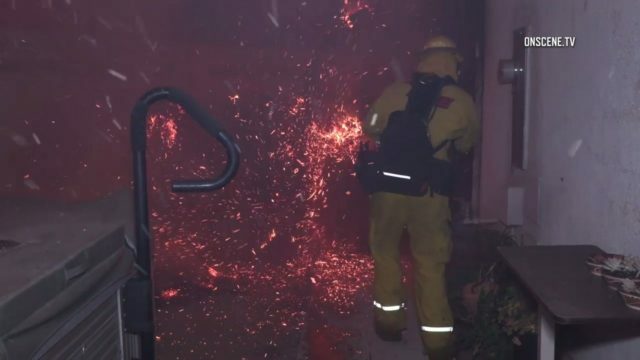 Uber Eats, the ride-share company’s food delivery service, is delivering free meals and water to both emergency personnel and people who have had to evacuate as a result of fires across Southern California in a partnership with McDonald’s and the American Red Cross. Black Plague Brewing in Oceanside is offering a free beer to all off-duty and retired first responders with valid ID. The Lilac Fire broke out Thursday morning near Fallbrook. It has scorched 4,100 acres and destroyed at least 65 structures. The fire has not been contained. Uber and Lyft are also both offering free rides up to $50 to and from evacuation centers in San Diego County and other areas affected by wildfires. For Uber, passengers should enter the promotion code SOCALSAFE in the payment section of the Uber rider app. For Lyft, the promo code KEEPSDSAFE should be used.